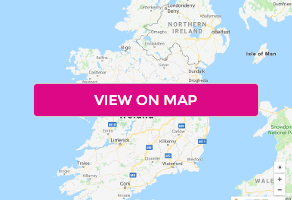 Located in the heart of the Sunny South East, the Maldron Hotel Wexford is the ideal base for exploring this famous region - allowing you to explore the many historical sites Wexford has to offer, The Irish National Heritage Park, Famous Opera House, The Hook Light House, JFK Park and many more. Just 4 km from Wexford town and 15 minutes' drive from Rosslare Ferry and Strand, The Maldron offers full Club Vitae Leisure facilities, events for kids during school holidays, and free unlimited WiFi in the hotel. The hotel has fantastic family facilities including an outdoor playground, mini golf course and Crafty kids club during school holidays and mid-term breaks. Spacious bedrooms are light, airy and feature satellite TVs and work desks. Ironing equipment and tea/coffee-making facilities are also provided. Maldron Hotel Wexford boasts a sauna, Jacuzzi, and a steam room as well as a 20m swimming pool and separate kids pool. There is a wide range of massages and beauty treatments available in Body & Soul Treatment Rooms. Grain and Grill Restaurant serves Irish cuisine using fresh, locally sourced produce. A full bar food menu is on offer in the lively Grain and Grill Bar and Lounge, which features entertainment at weekends. The inclusive meal is served in the Grain and Grill restaurant.